Welcome to our free snowmobile track buyers resource guide. Since the track on your snowmobile isn’t going to last forever, it’s good to educate yourself on all the variables involved with selecting a new track. Its similar to buying new tires for your vehicle, you need to make sure the tires are going to fit and match your driving style and conditions. As such, we’ve create a collection of informative guides and videos to walk you through the process of choosing your replacement snowmobile track. Browse the resources below to help you understand how to choose your replacement snowmobile track. 1. How to inspect your snowmobile track for wear and damage. Provides an overview of what to look for when inspecting your sleds track. Knowing the signs of wear will give you a good idea concerning when to replace your snowmobile track. There is a video included. 2. What to keep in mind concerning the lug or tread height of your sleds track. Discusses what to consider when it comes to lug or tread height. A video is included. 3. What are clips and clip configurations on your track. Clips and their configuration can be confusing, so we try to clear the air on the topic. Includes a video. 4. How to determine your snowmobile tracks pitch and length. Another area of common confusion. Your sled will take a specific pitch and length of track. Video included. 5. How to choose your next snowmobile track. We provide you a simple formula for figuring out what size and type of track to choose. Video provided. 6. Whats the difference between a 1 ply and 2 ply snowmobile track. We explain in simple terms the difference between these two types of snowmobile track. 7. Our snowmobile track application guides or fitment charts. We have a guide for each make of snowmobile out there. Reference these to know what track length, width, lug height and pitch your sled originally came with. This provides a great reference point for starting the shopping process. Trail snowmobile tracks – These are tracks designed for trail and hard packed snow conditions. 9. Our video reviews of specific snowmobile track models and of specific snowmobile tracks. We try to review as many models and specific tracks as possible. These are meant to provide you more detailed information. 10. Learn about new 2019 snowmobile track models. 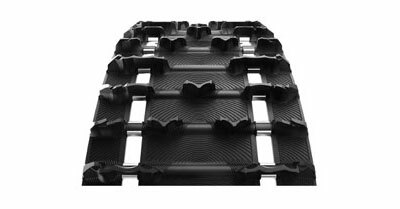 Each year new models of snowmobile tracks are introduced and a few are discontinued. 11. You can browse the 2019 Camso – Camoplast snowmobile track catalog here. 12. Read Camso’s 4 keys to snowmobile track selection. 13. Why you should buy your next snowmobile track from Sledtrack. Learn why you should buy your replacement snowmobile track from us. 14. Why we don’t sell used snowmobile tracks and tips on shopping for a used snowmobile track if your heart and budget is really set on one. 15. Looking for a Kimpex snowmobile track? – We no longer offer them. Find out why and what your alternatives are. Need more help? Then contact us. We can be reached by phone at (607) 693-1031 M-F 10am to 4pm EST. If its after those hours you can leave a voice mail or contact us by email.